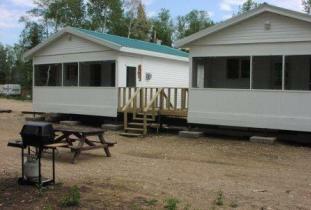 Three housekeeping cabins with modern washroom and shower. 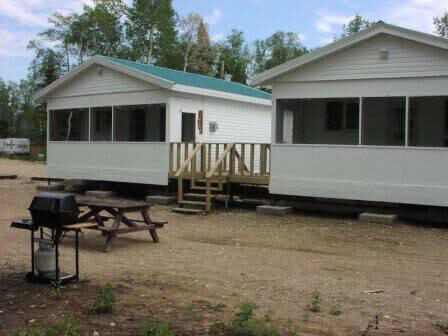 Guides, boat launch, campground, boats, canoeing, gas, tackle, ice fishing, trap line, bird-watching, hiking, photography and eco-tourism tours. Fishing for northern pike, walleye, smallmouth bass, rainbow trout and lake trout. Hunting for non-resident bear in GHA 7, 8 and 10, resident moose, waterfowl and upland game bird.